In the small ante-room to John Baird’s parliamentary office, you have to consciously avoid knocking over the official greeter: a sizeable statue of John Diefenbaker that reposes on the front corner of a desk. Newly appointed as foreign affairs minister, John Baird, makes his inaugural appearance at the UN General Assembly in September. At the G8 North Africa-Middle East ministers’ meeting [in Kuwait in November], we were pushing hard for something about religious freedom to put in the [final meeting] communiqué.” But when he looked, it was missing. “‘Oh, I’m sorry,” he was told. “It was taken out at the last minute. The text is closed. We can’t reopen it.’” “Well, yes, you can,” Mr. Baird said. “No. We already put it to bed,” came the reply. “Societies that protect religious freedom are more likely to protect all other fundamental freedoms. They are typically more stable and more prosperous societies. This view has been reinforced in consultations I’ve had around the world so far. There could scarcely be a better place –– or a harder place — to forcefully, powerfully present Canada’s foreign policy than the UN General Assembly. In the gloves-off style that Canadians have seen during question period, Foreign Affairs Minister John Baird told the General Assembly that Canada will be an outspoken ally of freedom around the world. And, in that speech, delivered only four months into his new portfolio, John Baird “named names” — referred directly to countries whose representatives were sitting right in front of him. He criticized their oppressive tactics to suppress freedom. “The UN speech was very much a reflection of my views, of issues I care about and of issues the government cares about,” he said in an end-of-year interview. “The one thing that people often shy away from is making critical statements face-to-face with someone. Sometimes, though, tough things need to be said. “I did it publicly,” he says. “You look out and you see Iran sitting there and you see Burma sitting there, you see North Korea sitting there. I’ve had some difficult meetings and discussions with my counterpart in Sri Lanka. And in, by far, his most-honed criticism of its august self, Mr. Baird lambasted UN hypocrisy. He said the UN is faltering, enfeebled as it strays from its founding mandate to keep peace, suppress aggression and promote basic freedoms for all people on earth. 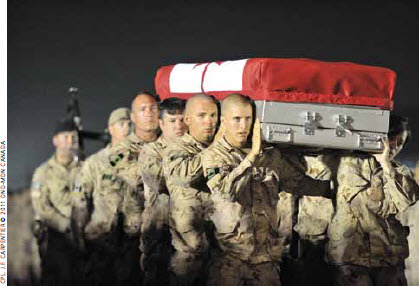 Soldiers take part in a ramp ceremony at Kandahar Airfield for Master Corporal Francis Roy, who died in Kandahar City in June 2011. He said Canada will not treat attacks on human rights and innocent civilians by staying silent and treating countries’ aggression and suppression as purely internal-affairs, no-comment matters. Mr. Baird says he also speaks privately, prodding countries to grant their people basic freedoms. From all appearances, he takes an open-handed, good-will personal approach that has served him well in his 17-year political career. Indeed, he says many of the skills he learned from his previous posts are directly transferable — though nuance plays a greater role in foreign affairs and diplomacy. An extrovert, he has no difficulty connecting with people. Ottawa’s diplomatic corps has noted, with appreciation, his frequent and unexpected attendance at diplomatic events, especially right after his appointment and before his travels began. His personable and tough mix apparently works well with trading partners, such as China. 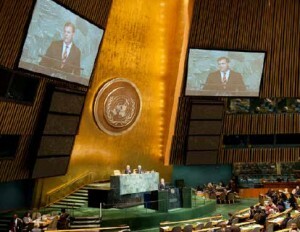 It allowed him to mention China, Canada’s second largest trading partner, in his UN speech: “I stand with Roman Catholic priests and other Christian clergy and their laity, as they are driven underground to worship in China while their leaders are detained.” And his government has raised the issues of Tibetans, Uyghurs and Falun Gong practitioners at the United Nations. He also singled out Iran, calling for the right of Iranian citizens to practise Christianity, defending those charged with apostasy, defending the wrongly imprisoned and persecuted Bahá’í community. And Burma for its discrimination against Muslims and Buddhists. And Pakistan, where he declared Canadian solidarity with Pakistan’s Shahbaz Bhatti and Salman Taseer, who were assassinated by extremists for speaking out against unjust blasphemy laws. And he singled out Egypt for its attacks on Egyptian Coptic Christians. And Iraq, where al-Qaeda has driven out many Christians and minorities and where Canada implemented a program to resettle refugees. And he voiced support for the Ahmiddya community, which faces violence in different parts of the world. Making a personal connection with foreign ministers allows Canada to ride over the rough spots in their countries’ relationships, he says. “At some point, you’ve got to put things behind you. Sheikh Abdullah [bin Zayed bin Sultan Al Nahyan, foreign minister of the UAE] surely has that view and I agree with him,” says Mr. Baird, referring to a dispute over Canadian landing rights for UAE airlines and the UAE’s retaliatory closure of a Canadian military base. Translated, it means Canada won’t go along with the “double standard” that castigates some UN members while ignoring abuses of others. The Harper government unequivocally supports “Israel’s right to exist,” he said in his UN speech. “We uphold its fundamental right, like any member state, to defend innocent civilians against acts of terrorism. Just as fascism and communism were the great struggles of previous generations, terrorism is the great struggle of ours. “And far too often, the Jewish state is on the front line of our struggle and its people the victims of terror. Canada will not accept or stay silent while the Jewish state is attacked for defending its territory and its citizens. “Over the past century, the world was infected by a lethal combination of utopian ideology and brutal despotism that spawned totalitarian regimes which enslaved their own peoples. Apologists tried to persuade us that the ideology of communism was benign. Canadians knew better. We took a stand — for freedom and fundamental human rights. “We stood against oppression in Germany. We stood with the brave people of Ukraine and those of the other captive nations of Central and Eastern Europe. Libyans celebrate after the death of Moammar Gadhafi. "Our Royal Canadian Air Force flew 10 percent of the total strike sorties against Gadhafi's forces," Mr. Baird says, "and our Royal Canadian Navy helped enforce the maritime blockade." On diplomatic relations with Iran: A diplomatic stand-off has existed since Iran’s ambassador was expelled for the murder by torture of Iranian-Canadian photojournalist Zahra Kazemi in Iran in July 2003 for taking photos outside Tehran’s notorious Evin Prison. 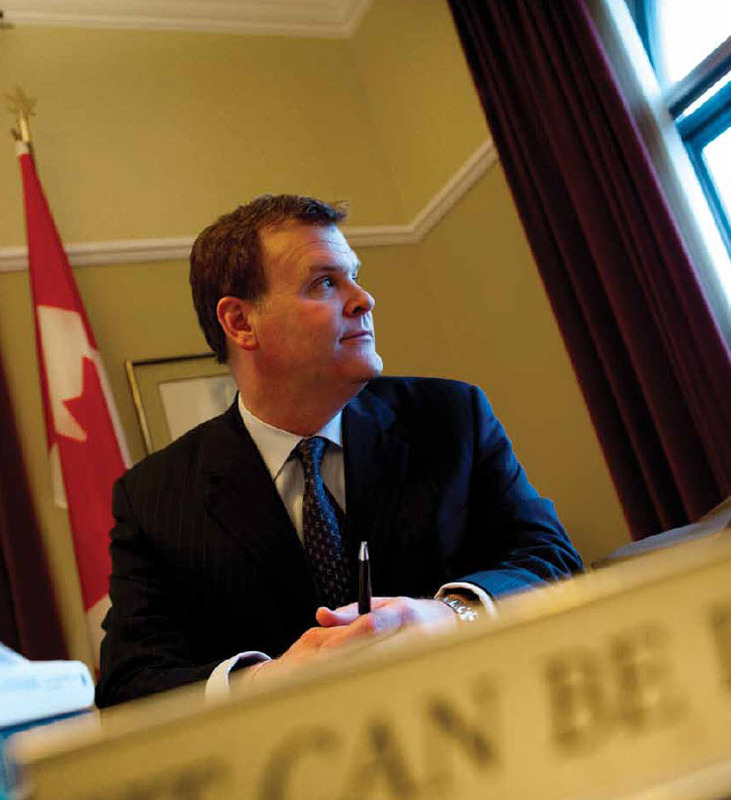 If Iran wants to re-open relations with Canada, they could, says Mr. Baird, “have their president [Mahmoud Ahmadinejad] stop denying the Holocaust happened. They can have their leader say he doesn’t want to push all Jews and Israel into the sea. They could permit international inspection of their nuclear program.” And, he said, they could apologize for Zahra Kazemi’s murder. On the Arab Spring: Many people are “standing up for their rights” in the Middle East and Africa. “I think people have to be realistic. Libya is not going to go from Gadhafi to Thomas Jefferson overnight. Each of the countries will go at its own pace. Obviously you’re not going to go to full western-style democracy, nor necessarily should you. Canada is following a dual path in which principle co-exists with pragmatism: The Harper government’s “Prosperity Agenda” buttresses a federal government’s most basic job: to protect its people. These days, that means more than military and national security. It means financial security — preservation of a healthy economy. Take Libya, where Mr. Baird met with the chair of the National Transitional Council, Mustafa Abdul Jalil, and other council members. “When I visited Libya, for example, yes we’re there to promote Canadian values, freedom and the role of women in a new Libya. At the same time, we’re there to promote our national interest, which is Canadian business and the economic prosperity of our country and Libya’s. He responds to the observation that many countries are selling natural resources to essentially state-owned companies in China, which is buying heavily into the oil sands. “China has a lot to offer Canada. Canada has a lot to offer China. Our relations have to be of benefit to both of us, like any relationship,” he says. “We welcome Chinese investments in the resource sector, the oil sector. It’s been good for the Canadian economy. It’s been good for the Chinese economy. What are his top goals for 2012? He identifies his top goal as the promotion of Canadian interests and values “in a big way.” His second goal is working on the Prosperity Agenda. 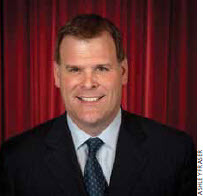 For the government’s Prosperity Agenda, Mr. Baird works with Trade Minister Ed Fast, who also deals with U.S. Buy America protectionism while seeking Canada’s membership in the Trans-Pacific Partnership, whose nine member nations are working towards a free-trade agreement. In less than six years, Canada has signed free trade agreements with Colombia, Jordan, Panama, Peru, the European Free Trade Association member states of Iceland, Liechtenstein, Norway and Switzerland, and most recently with Honduras. Pending are agreements with the European Union, Ukraine, Morocco, Korea, Andean Community Countries (Colombia and Peru), the Caribbean Community (CARICOM), the Dominican Republic, Honduras — with possibilities of Guatemala, El Salvador and Nicaragua. In the future, think Singapore, and, potentially, Turkey. Ask how he sees 2012 and beyond, he responds: “I think Europe is in a real financial crisis with the sovereign debt crisis. It’s significant. Look at the challenges the United States is facing. The Super Committee just failed. They have an inability to get control of the problem. We’re very blessed in Canada to have it under control. Our system is more conducive to problem-solving. 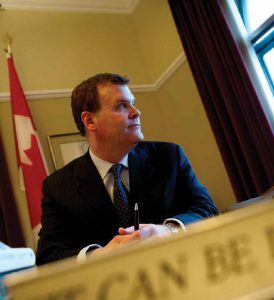 If there is a pure-principle heart to Canada’s foreign policy, it is the government’s $5 million new “Office of Religious Freedom.” Mr. Baird met in October with some 100 people from across the country to discuss the new office, and will lobby cabinet and the Conservative caucus for this foreign-affairs initiative. “It’s not freedom of religion,” he explains. “It’s freedom to practise your religion. That’s more expansive than just having a Bible in your own home. He says he often raises the topic of freedom to practise one’s religion when he’s abroad. How close are his, Mr. Harper’s and the cabinet’s views on foreign policy? Foreign policy is hammered out in cabinet and in discussions, he says, and it’s not always smooth agreement. “I think people would be astounded. We have some really good debates, really good discussions around the cabinet table. We don’t always agree on everything. And, he says, they’ve had lots of time to work out their foreign affairs policy. “I travelled to three G8s with him before I was foreign minister. Environment is an economic portfolio, a regulatory portfolio and, increasingly, a foreign affairs portfolio. “When we came to office and Stephen Harper was elected Prime Minister, Canada was [world-ranked at] No. 31 on peacekeeping. I think most Canadians thought that our soldiers in Afghanistan were on a peacekeeping mission. They were never told, they never understood, that this was not a peacekeeping mission, that the soldiers were not wearing the blue beret. “[In terms of raising the status of the military in Canada] Stephen Harper did a lot of it. Peter MacKay has done a lot of it. Rick Hillier has done a lot of it. Gordon O’Connor has done a lot of it. Walter Natynczyk has done a lot of it. You know, 20 years ago, Canadian Armed Forces members sometimes didn’t want to wear their uniforms in public; now when they go into Tim Hortons, two or three people try to buy them a cup of coffee. The amount of support for the Canadian Forces is significant. “We were disappointed [with President Barack Obama postponing his decision until 2013.] I think most observers of the timing and the decision have come to certain conclusions which I’ll leave for them [to express]. “My approach to dealing with the Americans, with Hillary [Hillary Clinton, U.S. secretary of state] is that when all you talk about is irritants, [laughs] you quickly become irritating. I was told that [former Secretary of State] Condoleezza Rice once described the agenda of a meeting with a Canadian foreign minister as very similar to a condo committee board meeting. “So Hillary and I talk about issues that are multilateral, and then we discuss the two issues I’ve been pushing with my American counterparts, which are Beyond the Border [facilitating trade] and the Keystone XL. “I want to be the first foreign minister in the world to recognize a newly independent Palestinian state when it negotiates peace and security [directly] with Israel. “Did these people [who want Canada to be an “honest broker” in the Middle East] say that Canada lost its status as an honest broker when we went to war early with Hitler’s Germany? We did that early in the Second World War. We didn’t try to be an honest broker [with] Germany and [our Allies]. “What does an honest broker mean? I mean, if you’re looking at Hezbollah or Hamas, you don’t want to be an honest broker if they’re international terrorist organizations. “A lot of foreign policy isn’t partisan. 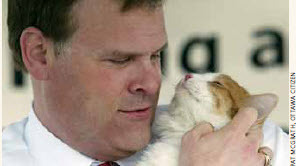 Mr. Baird at the opening of the Ottawa Humane Society's new facility with Chance the cat. Q: How long are your days? Q: When you`re home, what is your daily schedule? A: I’m up every morning at 6 o’clock, listen to the Steve Madely [CFRA] show ‘til 6:30 and then I get up and go. Q. Breakfast? A: Cereal and milk. Q: Do you drink coffee? A: I’m addicted to Tim Hortons. I stop every morning on the way to work and have a Tim Hortons. Q: Do you drive to work? A: I have a driver. I read the newspapers very quickly: the Ottawa Sun, the Ottawa Citizen, the National Post, The Globe and Mail and the Toronto Star (when it’s available). I live in East Nepean so I don’t have a long trip to read them. Q: What regular meetings do you attend? A: I meet with the deputy [Morris Rosenberg] several times a week but every Monday I have a private meeting with him and get briefed on a good number of issues. And there’s P&P [cabinet’s priorities and planning committee], Eastern Ontario caucus and national caucus, and meetings with the inner cabinet on Thursday mornings every few weeks. A: I grabbed a salad in the cafeteria today and ate it during prep for question period. Some days I’ll put some vegetarian chili in the microwave. Q: Are you a vegetarian? Do you eat meat? Q: Do you eat fish, eggs, cheese? Q: What do you eat for dinner? A: [Big laugh] I eat out. My favourite foods are sushi, Thai, Chinese. Q: How do you do with so much travel abroad — jet lag? A: I’ve learned it’s always good to fly at night. We went to the Libya meeting, to Italy and France. We left at 8 a.m. When we landed it was already 11:30 at night, so 5 or 6 p.m. our time. I couldn’t sleep all night. Q: Is there a sort of Clan of the Cat in the Harper government? A: There is a sort of cat clan. There is a group of us. Laureen [Harper] had me over to 24 Sussex [last spring]. She had some kittens from the Ottawa Humane Society that she had taken and was nursing. [Both cat lovers, the Harpers have fostered many kittens for later adoption.] There were two or three really cute ones. Then [strangely] she said: “You probably wouldn’t want to take them. You’d be travelling all the time.” I looked at her — and that was before the cabinet shuffle — and I went [he makes a quizzical face and laughs].” (Days later, he was appointed foreign affairs minister. Call it a case of letting the cat out of the bag.) Another cat person is Marjory LeBreton [government Senate leader]. Monte Solberg [former citizenship and immigration minister] was a cat person. So was Sandra Buckler [Mr. Harper`s former communications director]. There are a lot of us. A: I go out with my friends. Q: When do your days end? A: I try to always get to bed by, at the latest, 11 or midnight. I’m not a nighthawk. A: I was just given Richard Gwyn’s book Nation Maker — Sir John A. Macdonald: His Life, Our Times. I took it with me on my last trip but I didn’t have a chance to get to it because I was working or reading for work. I did a book review for The Globe [and Mail newspaper] — Craig Oliver’s book, Oliver’s Twist. [Oliver’s Twist: The Life & Times of an Unapologetic Newshound]. Q: How do you deal with criticism, in country and out? A: You learn to have a thick skin. You’re human like everyone else. At the same time, if you believe in what you’re doing, that’s better than if all you did is to listen to your critics every day.